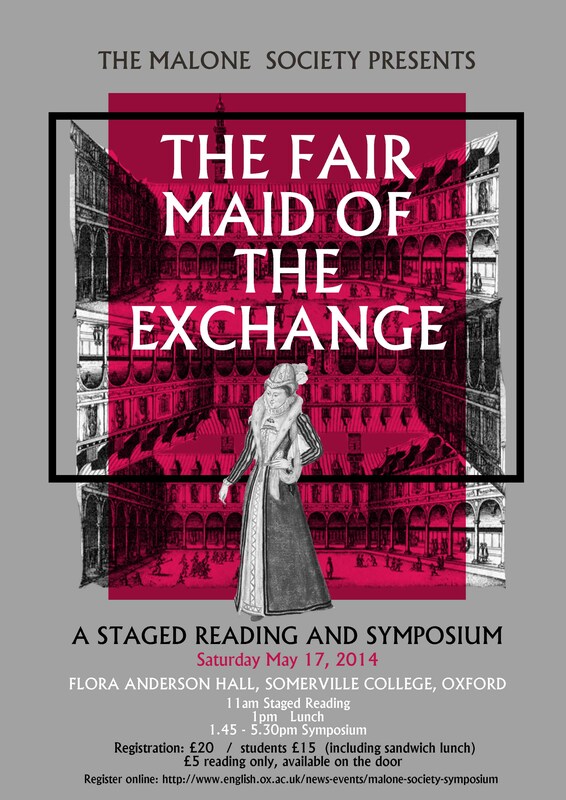 We are delighted to announce that registration for the Malone Society’s symposium and staged reading of The Fair Maid of the Exchange is now open! See the poster below for full details and how to register. We look forward to seeing you there!